Our star diva Deepika Padukone is one working women with enormous energy & positive attitude. Why we say that? Well! Yesterday morning Deepika Padukone went to attend world health day event in Bangalore where we spotted Deepika Padukone stripes shirt look at airport. There were pictures in social media of her beautiful floral Anarkali dress by Sabyasachi during the event and in the evening she was back in tinsel town. Deepika Padukone flew directly from Bangalore to Mumbai wearing that same outfit & headed to Karan Johar Party with her beu Ranveer Singh. Click for Ranveer Singh Best Styles. Deepika Padukone floral Anarkali dress is making the her even more elegant. Sabyasachi Mukherjee has become her favorite designer since Deepika is wearing Sabyasachi in many other events. Moreover, we appreciate the energy she posses after travelling day to night & does not forget her priorities towards her friend. Karan Johar must be happy to see Deepika and Ranveer together. 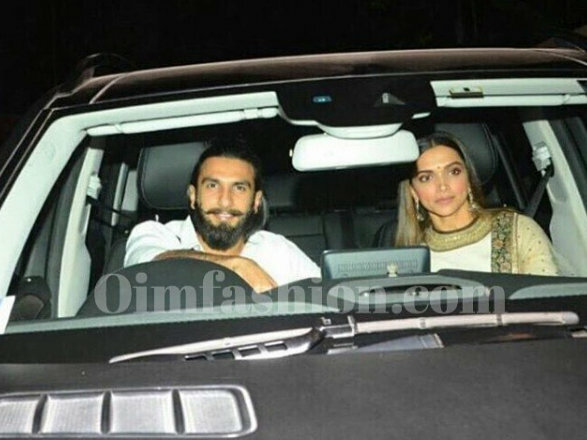 Deepika Ranveer marriage is still on long waiting I suppose But I always love to Deepika Ranveer pictures together.